1:54 p.m., Feb. 19, 2009----Joy Lynn Gooden Sparks, 57, the state 4-H coordinator for the University of Delaware's Cooperative Extension Service, died Tuesday, Feb. 17, at home in Newark after a courageous battle with cancer. She is survived by her husband of 24 years, Donald L. Sparks, the S. Hallock du Pont Chair in UD's Department of Plant and Soil Sciences. A lifelong Delawarean, Ms. Sparks grew up in the town of Wyoming and graduated in 1969 from Caesar Rodney High School in Camden. She began her involvement in 4-H as a young child, winning many state and national honors, including a National 4-H Achievement Award and numerous blue ribbons at the Delaware State Fair. It was her love of all things 4-H that motivated her to make 4-H her life's work. Ms. Sparks received a bachelor's degree in home economics from the University of Delaware in 1973 and later pursued graduate studies. She began her 35-year career in UD's Cooperative Extension Service by first serving as the New Castle County 4-H agent. In 1980 she was promoted to area 4-H agent, and in 1993 she became the state leader for Delaware 4-H.
Ms. Sparks was instrumental in building the Delaware 4-H program into a national powerhouse. Her efforts resulted in the hiring of additional staff and the acquisition of significant state and federal funding. Last year, Delaware 4-H reached nearly 70,000 young people, which represents more than 47 percent of the market share of eligible youth in Delaware -- more than twice the percentage of any other state. "Joy Sparks excelled at representing the very core of University outreach," said Robin Morgan, dean of the College of Agriculture and Natural Resources. "Time and time again, she bridged 4-H youth and leaders with University faculty and specialists in agriculture, natural resources, family and consumer sciences, and health and nursing sciences. Joy Sparks made Delaware 4-H a nationwide model." One of the keys to Ms. Sparks' success was that she knew the value of face-to-face interaction. Through the years, she crisscrossed the state to attend as many 4-H meetings and events as possible. Sussex County 4-H agent Ernie Lopez saw first-hand the strong - and innumerable -- relationships that Ms. Sparks cultivated and sustained. He went to lunch with her on his first day as a 4-H agent, which coincided with the Delaware State Fair. Her colleagues in the College of Agriculture and Natural Resources also appreciated her ability to connect and make everyone feel singled out by her attention. But Ms. Sparks' affable, relaxed manner belied an indomitable work ethic and determination to continually improve Delaware 4-H. Her many achievements included providing leadership to a 4-H Military Partnership that makes the Delaware 4-H program available to the families of deployed military members. These efforts resulted in commendations from the United States Navy and the National Association of Extension 4-H Agents. Ms. Sparks also played a major role in the establishment and development of the Delaware 4-H Foundation and served as liaison to the Foundation Board. During the 100th anniversary of 4-H, $300,000 was raised by the foundation during its first endowment campaign. At the national level, she served on the National 4-H Strategic Directions team, the National 4-H Leadership Trust, the National 4-H Congress board and was the headquarters chairperson of the National 4-H Congress Design team. In addition, she was a member of DANA (Delaware Association of Non-Profits), NAE4-HA (National Association of Extension 4-H Agents) and Epsilon Sigma Phi, the National Extension fraternity. Ms. Sparks' work ethic really kicked into over-drive at the Delaware State Fair, said State 4-H Extension Educator Mark Manno, who worked with her for 29 years. “Many, many times over the years, Joy would have gone off duty at the fair at 4:00 only to show up at closing at 9:00 or even later,” said Manno. Jan Seitz, associate dean and director of UD Cooperative Extension, said that Ms. Sparks helped convince her to come to UD in 2003. “Prior to coming to UD, I was assistant dean and director of University of Illinois Extension 4-H Youth Development and knew Joy Sparks as a valued 4-H colleague and a friend,” said Seitz. “Well, Joy was always talking up UD and when the Extension director position became available, she encouraged me to apply. It's been the best move I ever made. In addition to her contributions on campus and through 4-H, Ms. Sparks was active in community affairs. She was past president of the Delaware Home Economics Association and since 1988 served as a director of the Delaware State Fair. 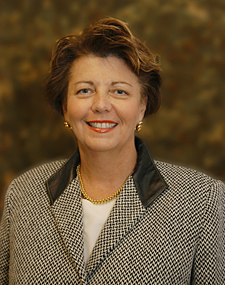 She was the first woman to serve on the fair's executive committee as vice president. Recently, she was honored with a “Distinguished Service to Ag” award by the New Castle County Farm Bureau. She also received a “Distinguished Service to Ag” award from the Delaware Farm Bureau at its annual dinner last year. That evening, she received a proclamation from the Delaware Senate and House of Representatives presented by Rep. Bethany Hall-Long. Eight years ago, Ms. Sparks, with her husband, committed $25,000 to create the Donald L. and Joy G. Sparks Graduate Fellowship in Soil Science. And recently, they established a second endowment to fund a college scholarship for 4-H members. In addition to her husband, Ms. Sparks is survived by her parents, Betty and Dan Gooden, a sister and brother-in-law, Dana and Richard Sharpe, a brother and sister-in-law, Alex and Barbara Gooden, and a brother, Richard Gooden, all of Wyoming, Del. ; six nieces, Sherry Kijowski and Jessica Flaherty of Wyoming, Del., Heather Gooden of Dover, Del., Lindsay Hughes of Georgetown, Del., Elizabeth Donohue of Medford, Mass., and Kelly Gooden of Aiken, S.C.; two grand nephews, Seth and Aidan Flaherty of Wyoming, Del. ; a sister-in-law and brother-in-law, Betty and Henry Steele, Winchester, Ky.; and her beloved Scottish terrier, Winston. A memorial service to celebrate Ms. Sparks' life will be held at 3 p.m., Monday, Feb. 23, at John M. Clayton Hall on the University of Delaware campus. Ms. Sparks' family will be available to greet guests beginning at 1 p.m. A reception will immediately follow the service. Interment will be private. Contributions to honor Ms. Sparks may be made to the Joy G. Sparks Memorial Fund, Delaware 4-H Foundation, 113 Townsend Hall, 531 South College Ave., Newark, DE 19716 or to the Joy G. Sparks Scholarship, Director of Development, University of Delaware, College of Agriculture and Natural Resources, 531 South College Ave., 113 Townsend Hall, Newark, DE 19716-2170. To visit an online tribute to Joy Sparks, click here.